The very idea of becoming a mom after age 35 is associated with an at-risk pregnancy or delivery in the minds of most people. However, recent studies affirm that not everything about having a child at this age is negative. A study published by the Journal of the American Geriatrics Society revealed that becoming a mom after age 35 improves a woman’s mental abilities. 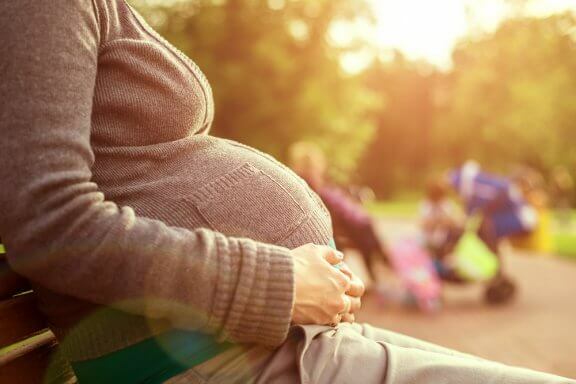 The study also notes that those who become pregnant for the first time after age 35 had better results on tests for mental acuity, problem solving and verbal abilities. This is definitely good news for the majority of women who live in today’s society, which is characterized by professionals who decide to develop their careers before dedicating themselves to their personal lives, leading women to become mothers at increasingly advanced ages. The medical field has established that, in biological terms, the ideal age for women to become pregnant is under 25. However, in our current society, the average age for being a mother for the first time has been delayed. For example, in countries such as Spain, the average age of first-time mothers is 32.2 years according to data provided by the INE. However, there is also a significant number of women who have their first baby after 35 years of age. The study mentioned above is not the only one that has highlighted the benefits of being a new mother at a later age, since there are others that also emphasize the advantages of becoming a mother after age 35. 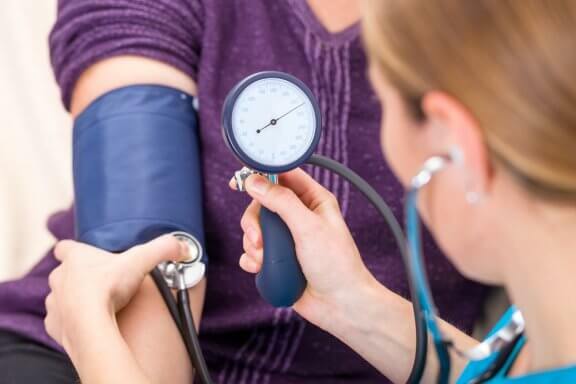 One of the studies was conducted in 2014 and states that women who become mothers at age 33 or older could live longer than those who give birth before age 33. Other research from Boston University revealed that women who decide to become mothers after 35 years of age are twice as likely to live to 95 years or older than women whose last child was born before they turned 30. There is another study that has shown benefits of late motherhood. This was done by a group of researchers from the University of Southern California who, based on the responses of more than 830 post-menopausal women, also found a positive relationship between becoming a mom after age 35 and mental abilities. 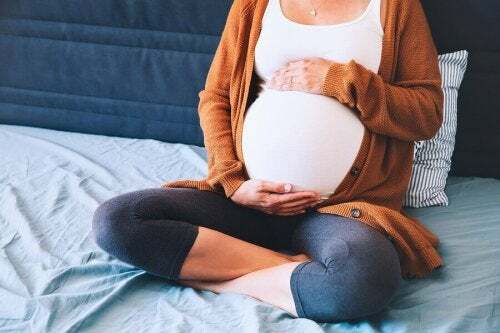 The reasons, according to this research, are related to the increase of hormones that are generated during pregnancy, so that they come to positively affect brain chemistry. The survey suggests that the older the woman is, the longer these alterations will last in her brain, which triggers an improvement in cognitive function at older ages. Is there an ideal age to become a mother? For women today, financial stability is very important. They know how to become independent in this area and are also learning to fight in order to share, shoulder to shoulder, the responsibilities that come with having a home. The socio-economic balance sought by women today is usually reached at around 34 years of age, this being the moment in which the woman begins to think about the possibility of being a mother. Reaching said stability encourages them to live the experience of motherhood, since they feel they can do so fully. But at that age, the woman’s biological clock is no longer precise, and the probabilities of becoming a mother diminish with the passage of time. 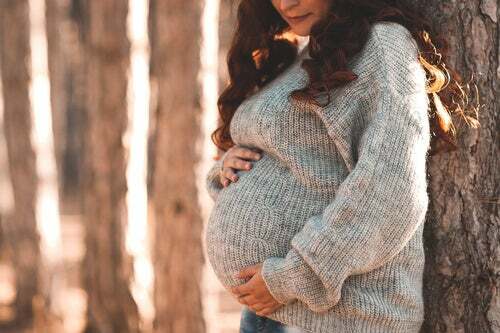 On the other hand, the risks of becoming a mother after age 35 are associated with an increased chance of suffering complications during pregnancy, including the risk of miscarriage and an increased chance of the baby being born with chromosomal abnormalities. Medical statistics reveal that 30% of pregnant women age 35 or older suffer from some perinatal pathology or complication. The most common include gestational diabetes, hypertension (the main cause of premature birth) and uterine bleeding. All increase the chances of a premature birth. Ten percent of deliveries by mothers older than 35 are premature. However, all these risks are measurable and controllable with adequate medical support. Are You Prepared for Single Motherhood?